Photo by Jennifer Fumiko Cahill Elevated doughnuts. Photo by Jennifer Fumiko Cahill Grilled cheese with barbecued brisket. 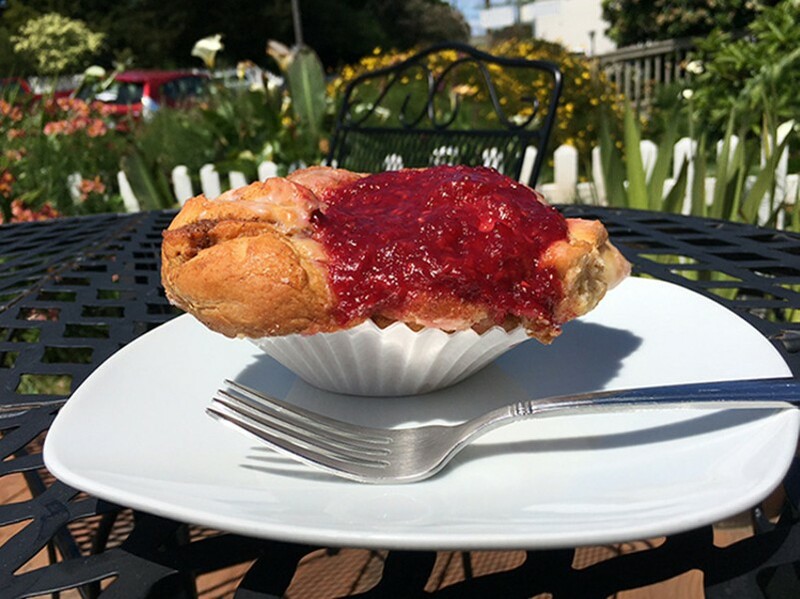 McIntosh Farm Country Store (1264 Giuntoli Lane, Arcata) may not do tablecloths but it takes the humble doughnut seriously and allows you space to enjoy them with more dignity than your car or the office breakroom. The selection is limited but significant, fresh fruit glazes, lemon and apple fillings and cinnamon sugar among them ($1.99). The yeasty doughnuts themselves are springy, chewier and denser than the typical cake or old fashioned, with a crisp edge. 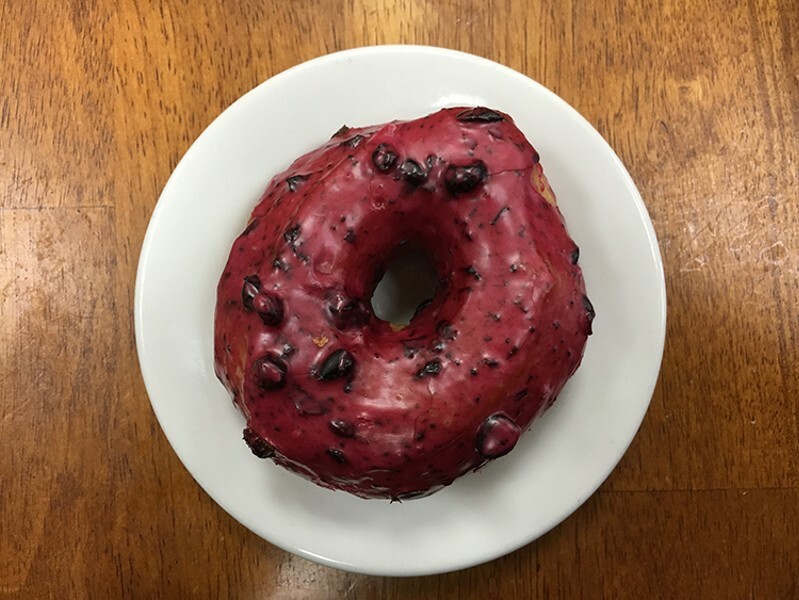 The swipe of strawberry glaze is like the frosting incarnation of strawberry ice cream and the huckleberry is pleasingly tart with bits of berry. 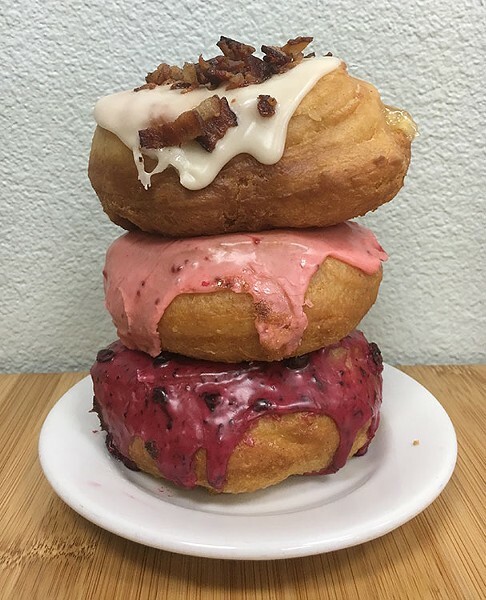 If you are torn between trying a doughnut or that plate of bacon and eggs, the maple glazed with none-too-sweet apple filling and pieces of crisp, still warm bacon on top has you covered ($2.50). And possibly covered if you don't eat carefully because that is a lot of filling. 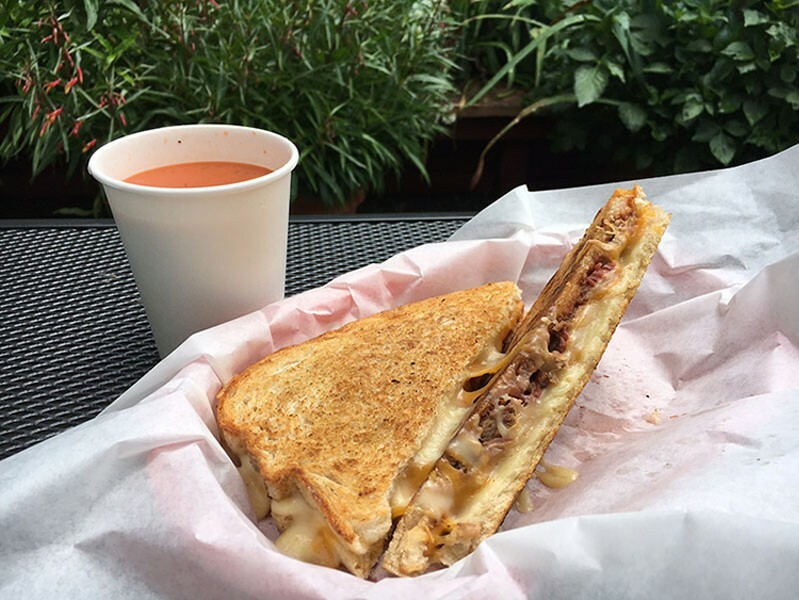 The smoked beef in the Bay Area Brisket ($7) puts up no fight, pulling apart with the gentlest tug, and it comes swaddled in garlic Jack cheese, smoked cheddar and barbecue sauce on sourdough. 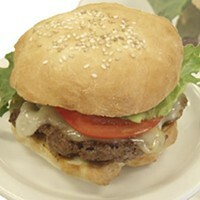 The panini pressed bread has an audible buttery crunch and the thinness of the sandwich is deceiving. For another $4, you can add on the cookies or chips your mom would never put in your lunches and a cup of tomato soup, which is tangy with a nice dried basil flavor but comes in a coffee cup that's a little unwieldy, what with the long, architectural wedge of sandwich you're trying to dip.